Mennonite Girls Can Cook: So Shiny - A New Learning Curve ! **Note added --- I would like to thank you for your comments. I found them very helpful and I'm sure our readers did as well !! We recently purchased a pressure cooker. Having never owned one before, I was a little afraid of it , but was quite relieved to find pressure cookers are not scary at all ! So now I am learning to use it ! I have made soup, rice pudding and a gluten free bread loaf --- all in a fraction of the time conventional cooking would take! If you have a pressure cooker, what are your favourite ways to use it ? What do you like about it , or what do you not like about it ? I use them to can vegetables with and the smaller cookers are for mainly soup and beans. After using the same pressure cooker for 45 years (a wedding shower gift), I recently purchased a new pressure cooker. I make stews, pot roast, and the easiest corned beef in the pressure cooker. When I worked, I didn't have a crock pot, so I would make many dinners in the pressure cooker in less time than a traditional cooking method. When I was a child and we went camping my father would make the most amazing dinners with the pressure cooker on our reliable old coleman stove. The campground would be filled with wonderful aromas of a chicken or roast beef dinner. We were the envy of families eating hotdogs and beans! that is the coolest memory!! I always cook my potatoes In the pressure cooker, 5 min and they are done!! I bought a small, older but respectable-looking, pressure cooker at a tag sale, and have also been afraid to use it. Someone suggested I ask the State Extension Service about testing it (apparently some wonderful places offer this valuable service) but the person there acted as if I had asked for instructions on hitching a mule to a hayrake. I'll keep looking, though...hate to have this nice pot just sitting around, especially when it could be picking up some of the slack for my recently-defunct oven. I use my pressure cooker to can tomatoes and fruit as it holds 7 quarts or 14 pints. For my fruit in quarts I exhaust the cooker, bring the pressure up to 5 lbs turn off the heat, take off the stove and your fruit is done. Take out jars when cooker is cooled off and you can safely take of the lid. There is enough heat created at 5 lbs to cook your fruit any longer will overcook it. Tomatoes need 10 lbs pressure for 10 minutes. Wouldn't be without it. I haven't had one for many years, but it looked just like the one in your picture. I primarily made meat dishes, bean dishes, and dog food. (A combination of meat, vegs and rice, eggs and broth). The dog was delirious the whole time it was cooking with the smell wafting out from the steam release for an hour or so. I love the way it cooked PORK HOCKS. That alone ie is worth the price, the meat falling off the bone, cooked to succulent tenderness,and all that amazing broth to use in soups. Ready in under an hour. I got mine in 1965, and only stopped using it around 1995 because of the "aluminum" scare, at which time I also stopped using my mother's 1930s Wearever cast aluminum pots. Ohh yes.. the aluminum scare ! my pressure cooker is stainless steel... so no worries ! I ***LOVE** pressure cooking beans...These cookers are good for pre-cooking ribs for the grill and cheaper cuts of meat. I just want to say there is a difference between a pressure cooker and a pressure canner! You should NOT use your pressure cooker to can unless per the USDA definition of "a canner must be able to hold at least 4 quart jars, and have a gauge or weight to allow you to measure 5, 10, and 15 lbs. pressure". However, a pressure canner may be used to pressure cook. I would hate for someone to have an accident because they are using their equipment incorrectly. 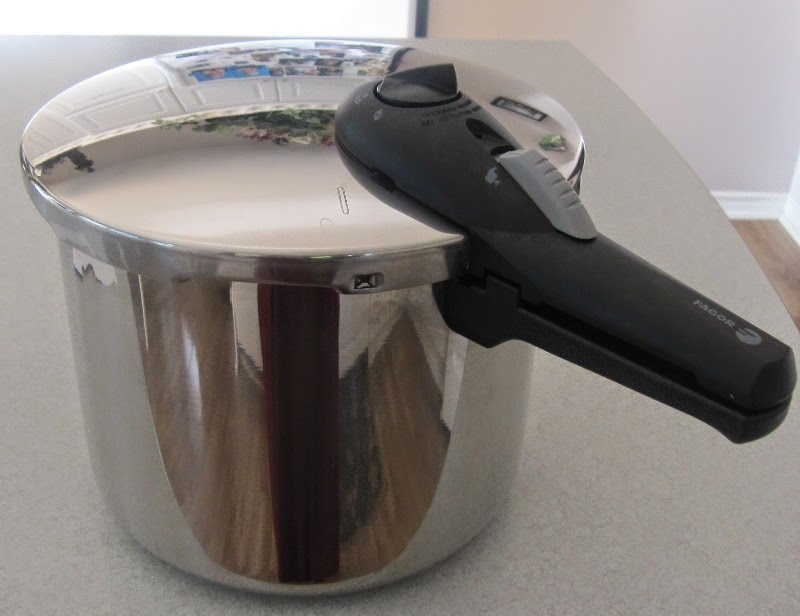 Now having said all that, I have a not only a pressure canner but a small pressure cooker which I use to make the most wonderfully tender pot roast, so much so, I prefer this method over the crock pot...and I love my crock pot. Nothing like having a fork tender pot roast meal within 30 minutes. especially on a weeknight without setting up the crock pot. The biggest tip I can offer is be fanatical about checking the the seals and vent. If you have one that uses the weighted gauges take it the local extension to have it calibrated and pressure tested (same goes for the pressure canner). And never store it tightly sealed or it could retain odors. I have both a canner and a cooker. Mine is also a stainless steel one and I love it for cooking dried beans, although it is also good for pot roast and soup. It is important to have the gauge tested for accuracy on a pressure canner and the extension service does this. If you have an older pressure cooker without the manual, I would suggest you 'google' or otherwise search for the brand and the words 'pressure cooker'. This should locate the company website and they probably have online manuals available to read. When I mislaid the manual for my canner I was able to download a 'pdf' copy of the manual to my computer and print it. I bought an electric pressure cooker for my daughter for Christmas. I had hoped it would give her the ability to have wonderful home-cooked meals for her family in spite of her hectic schedule. I was right!! She loves it and uses it at least two nights a week. I purchased the T-Fal pressure cooker from Costco online for $200.00. It is fantastic as it tells you when to lower the temperature and a signal when to shut it off as well as the settings for meat, beans, or vegetables. I should do more cooking with it as it is so easy to work with. I have a pressure cooker from 1976 it works just fine indeedy, I use it all the time, not a new pressure cooker but an older model only have to have replaced the rubber ring one time, it works like a champ! Just the hubs and I and it takes care of tough cuts of beef in a new York minute and the meat is so tender and juicy, enjoy your pressure cooker it will save you a lot of time and effort! I just bought a Fagor pressure cooker, too. I also bought a book from Amazon with it, and it has a LOT of great tips for newbies. It's called "Miss Vickie's Big Book of Pressure Cooker Recipes" by Vickie Smith. thanks, Lynn... that book sounds really helpful ... I'll check it out !! Just another thought to add here. I love using my pressure cooker in the summer for everything....even green beans which take just a few minutes. Because you can turn down the temp on your cook top once you get the cooker up to full steam, your kitchen remains much cooler. Because I was a little nervous like others here, I decided that when I bought one it had to be top quality. I settled for a Swiss PC by Rikon Kuhn - came with two hardcover cookbooks. The model I purchased (online) was the braiser it has a wonderful non stick base that is NOT Teflon - it's a dimpled texture that never wears down. I can highly recommend this brand. I use mine for braising tough cuts especially lamb shanks. Also great for beets and rutabagas and corn on the cob. It's a cinch to make flavourful stocks from the bones from roasts and chicken that I've saved in my freezer. Throw in some chopped veggies and strain - so much better than those tasteless boxes of stock on grocery store shelves. The safety features, non-stick base and perfect simmer control is what I really love about mine. I am so looking forward to more PC recipes on this site because this site is my go-to for tried and true recipes!!! 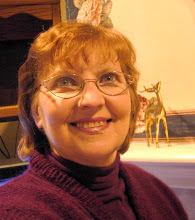 When we were married, nearly 50 years ago, we received an electric pressure cooker as a gift. I was afraid to use it, but my husband did. Finally, I got over my fear and used it a lot over the years. A few years ago it gave up the ghost, and since it was aluminum, and we don't use that anymore, we bought a new stainless steel one that blew up on me! Got rid of that one and was given an old stove top one, stainless steel, which I still use. I use it for all manner of food, from cooking my own dry beans, to meats, some vegetables, like artichokes, etc. It cooks so much faster than conventional methods and uses less energy. I love it and don't know what I'd do without it. I purchased a Fagor model from fastcooking.ca -- love it infinitely more than my old fashioned rocker steam valve model. My favourite recipe is Rinderrouladen (beef roulades) done the traditional German way, with bacon, onions, parsley, Löwen mustard, and a dill pickle in the middle. Browned in the pressure cooker, then braised in broth and wine for a quick 20 minutes ... serve them up with Spätzle and red cabbage, and I am back in Swabia once again! I would like the recipe for the gluten free bread in the pressure cooker! First of all, I absolutely love your blog and have shared it with everyone I know. I use my pressure cooker for canning sweet pickles, tomatoes, mixed veggies but I've lately been using it to cook pot roasts which now take a third of the time to cook. I also cook fresh greens and turnips in no time at all. I Love, love, love my pressure cooker! I use it to cook dried beans (much more economical that canned beans). We make lamb that comes out so tender. Great for cooking Indian curries and braised meats etc. I used mine quite a bit when I first bought it last year. Whole chickens in no time and I loved what it did a roast for shredded beef burritos! 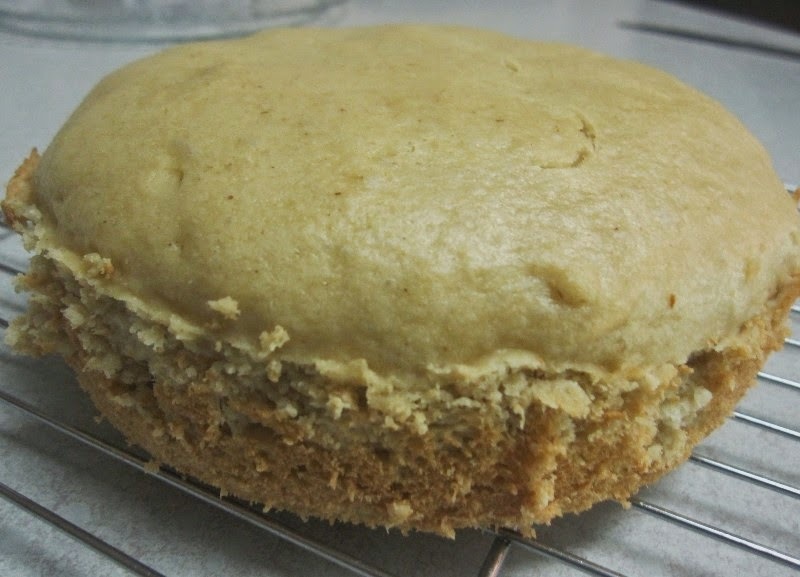 I would LOVE your recipe for gluten free bread. That sounds amazing and easy, too.